We want to have the best experience in this island. 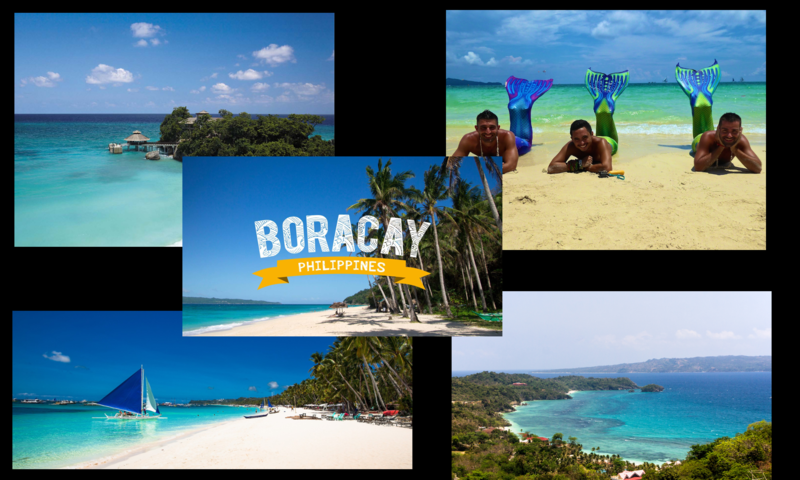 Any recommendations for local diving tour in Boracay? Liezel Marali: Milynian Helmet Diving and Tours (https://www.facebook.com/Milynian-Helmet-Diving-and-Tours-194447067801787/) We had so much fun & we enjoy it very much. A big thank you to all the staffs & special mention to Ms. Rona & team to make our island hopping adventure more memorable. Samuel Downtheroad: Calypso Diving (calypso-boracay.com/diving) amazing time diving with calypso. thanks again to Nicolas for taking his precious time for us and looking after us like never other instructors did before!!!! Great atmosphere at the shop. Equipment are of good quality and well maintained. A special thanks to divemaster Audie who is an fantastic guide and dive buddy. Brent Baggs. Go-Diving Scuba Studio. Catering to English, Tagalog and Mandarin speakers this medium size dive shop is very professional and courteous while maintaining a friendly and approachable staff. From the trainers and dive masters all the way to the boatmen, it’s one big family with decades of experience. Twice a day they take different groups on discover scuba diving trips but they also have the staff and time to cater to divers trying to achieve their next certification. I spent 5 days diving with them and I can’t wait to go back. Such an amazing group of people. Thank you Rodel, Lyn, Khim, Rey, and Hans, for making it my best vacation to date. Thank you for 5 unforgettable days. Completed Refresher, Advanced Open Water and Enriched Air with Igor and enjoyed every dive. Everybody was so nice and friendly. My favorite dive site: Yapak. And where not to go? Pierre John: MILKY’s Helmet Diving. Very dissappointed with this MILKY’s Helmet Diving. Was told we can have our video on our phones directly but after our dive, we were told that they do no have any adaptors for android devices. Then we were told that since they can’t transfer the file directly to the phone they would deliver the cd to our hotel at noon. Sure enough no cd at noon time. We came back to see if the cd was delivered at around 5pm and still no copy. We had to go back to manila without a payed copy of our video. When we tried to call them to have our copy delivered they said to like their page first then send a message since they do not have any emails. Very very dissappointed with this company. Customer service is almost non-existent. If I had known this I would have gone to STINGRAY WATERSPORTS they have excellent customer service and they helped us find out how to contact Milky’s. Alfred Mark Aguilor — We went to Royal Boracay Helmet Diving and Tours and I’m so disappointed with the pics.. everything’s blurry. Previous PostPrevious Closure of Boracay, what are your thoughts? Next PostNext Just wondering if there is any nice hotel or guest house still open?